Our blog’s edi­to­ri­al staff pre­pa­re news and topics rela­ting to our company’s various are­as of activi­ty. Here, we brief­ly intro­du­ce the mem­bers of the edi­to­ri­al team. Don’t hesi­ta­te to use the e-mail addres­ses given here for pur­po­ses of feed­back and fur­ther infor­ma­ti­on, to ask ques­ti­ons and sug­gest topics. 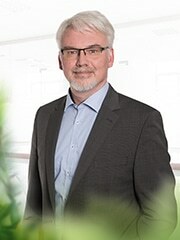 Dirk Röse has been at Klasmann-Deilmann sin­ce 2004 and heads up the Cor­po­ra­te Com­mu­ni­ca­ti­ons divi­si­on. His con­tri­bu­ti­ons to our blog are main­ly about the company’s latest news and day-to-day activi­ties. Dr Jan Köb­bing has been pur­suing various rese­arch pro­jec­ts at Klasmann-Deilmann sin­ce 2015, on topics inclu­ding Spha­gnum far­ming and the res­to­ra­ti­on of for­mer peat extrac­tion sites. 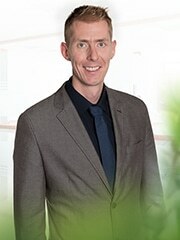 As Sustai­na­bi­li­ty Mana­ger, he also coor­di­na­tes our emis­si­ons reduc­tion mea­su­res and the pre­pa­ra­ti­on of our cli­ma­te foot­prints. His con­tri­bu­ti­ons to our blog rela­te main­ly to cor­po­ra­te soci­al respon­si­bi­li­ty. Nadi­ne John joi­ned Klasmann-Deilmann in 2019, whe­re her main role is in inter­nal com­mu­ni­ca­ti­ons. Her back­ground as a com­mu­ni­ca­ti­ons mana­ger enab­les her to incor­po­ra­te com­plex issu­es into stra­te­gic cor­po­ra­te com­mu­ni­ca­ti­ons. 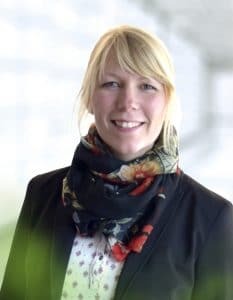 Her main focus is on repor­ting about cur­rent and future Klasmann-Deilmann employees and about the pro­duct port­fo­lio.